I attended the January 12th SouthEast Alabama Rocketry Society launch in Samson, AL. Of course, I can't resist bringing the radio gear. I setup a 44 foot NorCal Doublet and the KX3. 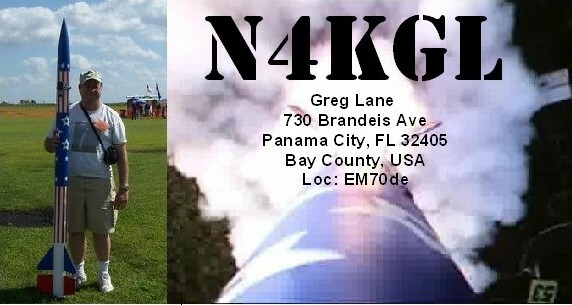 I was looking for Kelly K4UPG operating as K3Y/4 from Sanford FL. I found him as soon as I tuned up on 40 meters. I also worked K3Y/7 on 15 meters and checked into the SouthCARS net on 40. I was pleased to have Jim KC4HW, John KK4LST and James KE4GWW with his Son Tullis attend. All members of the Wiregrass ARC in nearby Dothan, AL. They got a great rocket show from the SEARS fliers and Tullis launched some of my rockets. I have recently gotten interested in fox hunting radio style. I tested out my yagi, VHF loop and offset attenuator all from Arrow Antennas. I find they work pretty good with my Baofeng UV-5R HT. Of course I knew where the Byonics MicroFox was located as I placed it myself. This was a warm up for the Orlando Hamfest Fox Hunt and future opportunities with the Panama City and Wiregrass clubs. Enjoy the photos.